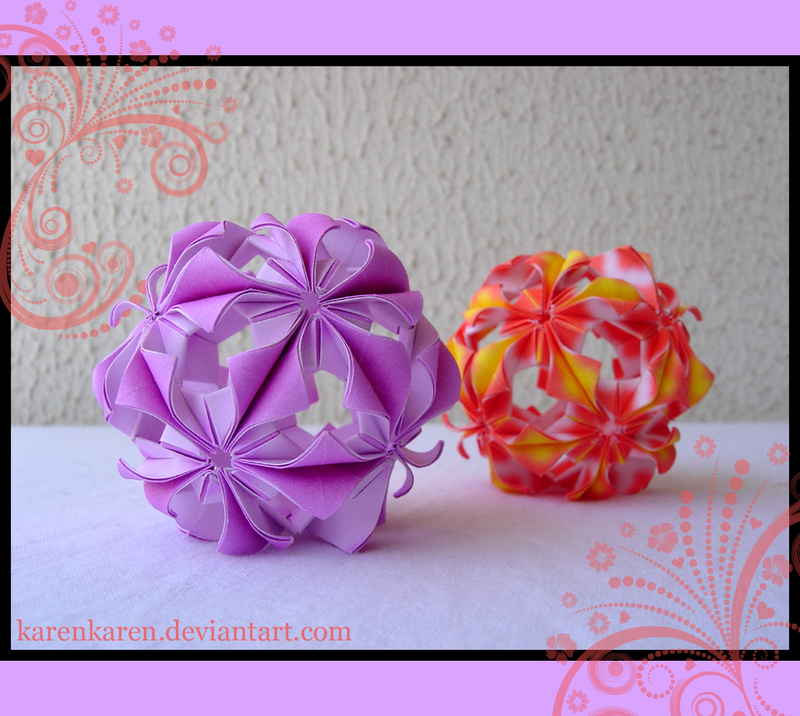 I came across a pretty Kusudama while searching pomander balls. 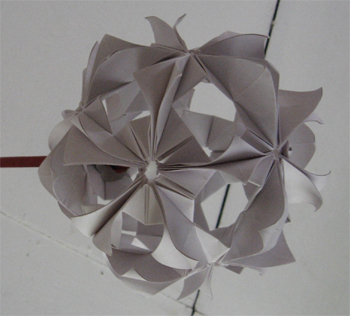 I had to make one… it looked so easy after briefly going through the following two tutorials …. 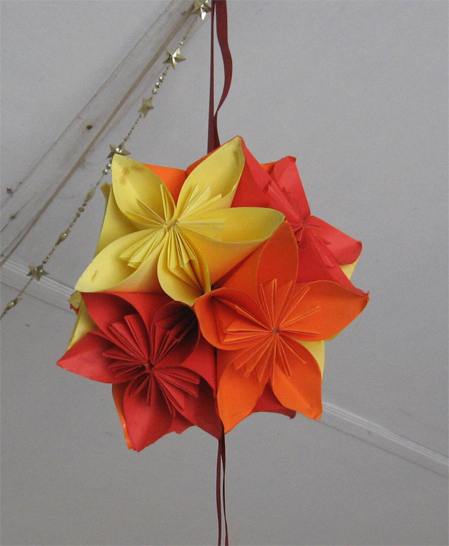 and fell in love with it 😀 but it looked so difficult to make, I didn’t go and buy coloured paper. Just used some thick white paper I had with me. Both are currently used as Christmas decorations.